In the year 2019, scientists at the Arecibo radio telescope in Puerto Rico searching for extraterrestrial signals, finally succeed. They identify signals from the star Alpha Centauri that are unmistakably artificial. Through clever trials the scientists conclude that the signals are music. Mankind has found another intelligent and technological species. They build a makeshift spaceship using an asteroid and mining equipment and technology that is capable to accelerate to about 90% of the speed of light within a year, making the trip from Earth to Alpha Centauri take about 17 years, including acceleration, deceleration and mid-cruise coasting. However, due to time dilation at relativistic speeds, the crew only experiences eight months of travel. The idea is that they can go to meet the aliens, spend a few years there, and come back, and be five years older, while of course the time on Earth would have advanced almost 40 years by the time they came back. Eight people go on the journey, four of which are Jesuit priests, the Father Superior also being the captain and pilot. The other four are the young astronomer who found the signal, a young female scientist and a doctor/engineer married couple in their sixties. They reach their destination, find two coexisting species of aliens, and start communicating with them. 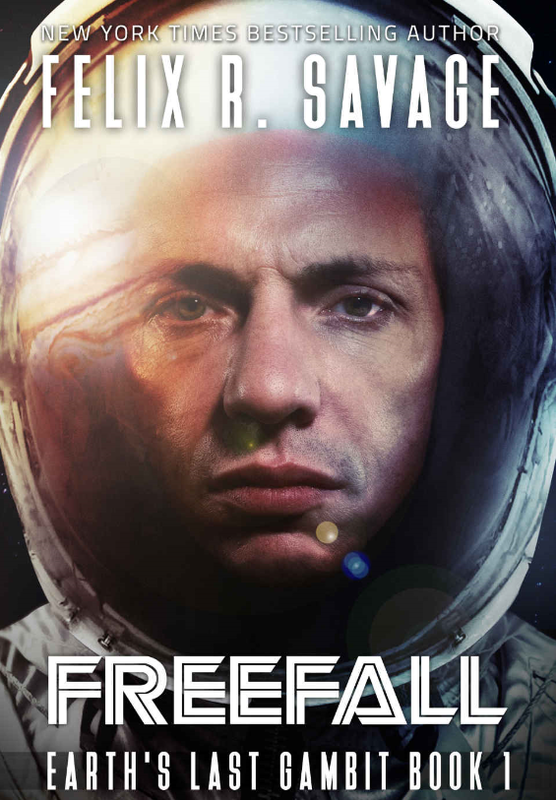 Through a series of misunderstandings and accidents, most of the crew perish over the period of a few years, and only the protagonist, Emilio Sandoz, a young priest, eventually returns to Earth in 2060. He is severely injured, seriously distraught and psychologically damaged. Now the Jesuits want to know that happened. I read this book as it was recommended to me as a good science fiction book with a focus on philosophy and morality. I welcomed the tip since I love first contact novels, particularly when they are coupled with relativistic space travel concepts. The Sparrow promised to be all that. If the sun were the size of a red blood cell, which is about seven micrometers in diameter, then the distance to Alpha Centauri would be about 219 meters. That’s a little bit more than the length of two football fields. Ok, let’s picture that. The sun is an invisible speck the size of a red blood cell with the solar system the size of a tangerine. The nearest star and its planets would be more than two football fields away. Just imagine the massive amount of empty space in all directions, left, right, forward, back, up down of empty space. See the entire post here for reference. The Sparrow edition on my Kindle is 518 pages long. It was first published in 1996. So 2019, the start of the journey, was in the distant future, and the Search for Extraterrestrial Intelligence (SETI) program was still in its early stages. No significant exoplanets had yet been found. It was a bit odd to read this book for the first time now, in 2018, when 2019 is just a few weeks in the future. While this book has earned a lot of awards and acclaim, and gets great reviews, I found it very hard to read and extremely disappointing overall. All the Jesuit philosophy packed into the story just took up space and bored me. Pages and pages of Emilio dealing with his own celibacy vows while he was lusting for the only eligible young female on the crew didn’t add to the plot in any way, and simply didn’t interest me. This book could have been condensed to about 200 pages, would not have lost any impact, and it would have been a better book. And then there were the aliens. Two conveniently humanoid species, one evolved from a herd animal, to become the worker and slave race, the other evolved from a carnivore and predator species, both adapted to each other to look like humans with tails. Also, conveniently, they talked human-like languages that the humans could learn quickly, and their social behaviors and customs were like those of exotic human populations, not aliens. The book’s structure made it difficult to read. There are two leapfrogging lines, one telling the discovery, the journey out, and the stay of the humans with the aliens, starting in 2019. The other starts in 2060, when Emilio returns and follows the enquiry into what happened. Through this, the reader already knows that the journey does not end well, and the whole book is about finding out what exactly happened. But the narration is so poor and inconsistent, I found it hard to follow. Sometimes it seemed like the protagonist was talking and telling the story, other times the writer used lots of exposition to tell the story. It was always inconsistent and jarring when the switch happened from one mode to the other. Endless pages about the “philosophy” and “morality” as some readers praised it just seemed like psychobabble to me. The book’s description calls it “deep philosophical inquiry.” I felt like the author wanted to lecture me with her worldview, which I didn’t care about, and she packaged it into a pseudo science fiction book to make it interesting to me. Reading The Sparrow was work. I finished only because I try to finish every book I start. I am glad I am done. And I will NOT read the sequel, titled Children of God. I have waited for In Saturn’s Rings for several years and have followed their Facebook page. It took the producers years longer to finish it than they thought it would. It was supposed to be done on December 31, 2014, but was finally finished on May 4, 2018. It is a 42-minute documentary made exclusively from real photographs taken by spacecraft, from the Hubble Space Telescope to the Cassini-Huygens space craft. The movie uses no computer generated graphics (CGI) technology. All images are arrangements of actual photographs. There are not many places in the country where the film is currently shown. On my visit to New York City I decided to go out to the New York Hall of Science in Flushing, NY, about 30 minutes outside of Manhattan where it is currently playing. I have always been fascinated with Saturn and its rings, and I have written plenty about it here. Here is one of my descriptions from almost five years ago where I marvel about floating in the rings and then actually refer to this movie. But I was disappointed. Perhaps I am spoiled by the amazing CGI production in movies and documentaries where pictures are enhanced and animations are smooth and stunning. In Saturn’s Rings seemed flat and boring in comparison. But again – I realize that there is value in looking at actual photographs, not made-up stuff. And I give the producer credit for that. However, there is too much fluff in the movie. It starts out with the Big Bang and plays images of Hubble of distant galaxies. Then it moves into an odd collage of photographs of science and scientists, wasting a lot of time on those flying and merging still photographs that didn’t add any value to the message or the film itself. There were fillers, and there were too many of them. The film is narrated in parts, but some of the descriptions of images were subtitled rather than narrated. I found that annoying. The images were there for a short time, and rather than looking at the images, I found myself reading the captions that described what I was looking at while the narrator was silent. Then the images were gone and the next ones came up. I missed them. This happened a lot. In Saturn’s Rings is an admirable effort but ultimately not worth it. The images you see in the movie would be much more valuable in a book. Buy a book on the Cassini mission and I am sure you will see the best photographs there. You can read the captions in leisure, and then look at the images as long as you want. In the movie, you only have a few seconds before the next one comes along. Having the image move, or zoom in or out is not adding enough value to account for the brevity of the viewing experience. As coincidence would have it, I was flipping through the channels yesterday and came across the Science Channel and found Space’s Deepest Secrets – Cassini’s Grand Finale. This was a documentary about the Cassini mission and it showed spectacular graphics of Saturn taken by Cassini but it also provided professional narration and interviews of scientists along with the history of the program. The subject was similar to that of In Saturn’s Rings, but done much better. We the Animals is the story of three brothers of a Puerto Rican family in the U.S. who have a strong bond amongst each other. Manny and Joel are the older ones (somewhere between 10 and 12 years old) and Jonah is the youngest at 10. Jonah is different. He is more sensitive, and likes to draw. To avoid ridicule, he does it when hiding under this bed where he has stashed his notebook inside the bottom of the mattress. Their father, Paps, is loving and supportive to them, but abuses his wife and from time to time abandons the family. Their mother, Ma, is very young and tries to shelter the boys, particularly Jonah, from the world. But she is not very successful, as she descends into depression and virtually abandons her care of her kids for days on end. The boys are left to fend for themselves, by stealing, by scavenging, and by sticking to each other. We the Animals! This is a thought-provoking film with interesting, refreshing cinematography, quite a bit of fantasy, that gets into the heads of the boys. Their acting is superb. 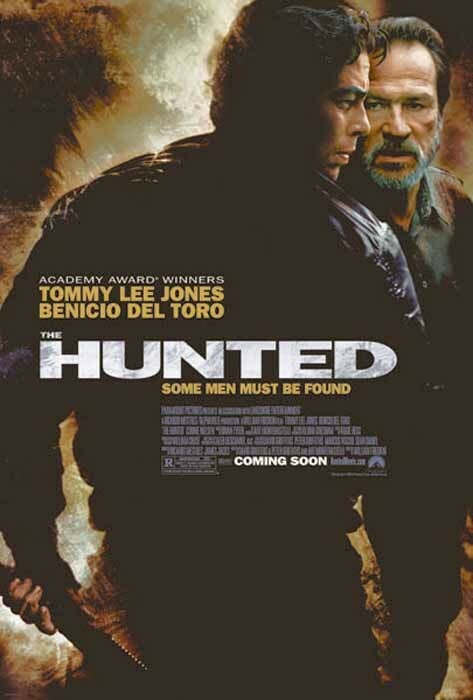 But I found the movie hard to watch, due to the disturbing subject matter. After a while I felt I knew what the story was, and I just wanted it to be over. I was bored. It ended abruptly after 92 minutes, but if it had ended after 60 minutes, I would not have missed anything either. Scotty, a nine-year-old boy, and his dog, can’t wait to run down to the beach upon arriving at their parents’ summer house on Nantucket. They are never seen again, until they mysteriously reappear 16 years later. As we learn later, Scotty was abducted by a UFO. The aliens have a noble mission to save humanity from complete destruction due to a massive cosmic calamity, and abducting human children is part of that mission. I was looking forward to a nice alien story, but I was disappointed. The aliens are called the Vallic and they are 97 percent energy. Viewed by a human they are simply faint blue outlines – of humanoid structure. I was disappointed because, like in so many science fiction books, here are aliens that are humans in costumes. Not only are they humanoid, they have males and females, and the voices of the females are softer and they have – breasts. To top it off, they speak English. McGinnis is a creative author, with great ideas. Why couldn’t he have been a little more creative with the aliens? The story employs some interesting concepts, but it was just too crude and simple for me. The author is actually a pretty good story teller, he moves the plot along, but there are too many of these “oh seriously?” moments sprinkled throughout, I never got fully immersed in the story. He kept reminding me that this was not real, with unbelievable fabrications (like aliens in human form who speak English), cardboard characters, caricatures of government officials, crazy magic-like science, and flat and boring protagonists. I was never immersed in the world he created. I was going to blast the author for using the cutesy word “ginormous” a number of times. I really thought that was a made-up word. Before I complained, though, I looked it up, and sure enough, it’s in the dictionary, with its synonym humongous. I stayed with it to the end, only to be disappointed that there was no resolution, no end. The book ended from one paragraph to the next, where the author tells us to wait for the next book in the series. I hate books with no ends, especially when I read one where I don’t know there won’t be an end because the author is planning a series all along. My bad. Sorry, I won’t be reading the next one. After reading this whole book I am just not interested enough in finding out what happens next. But I did learn that ginormous is an English word, not just slang. Hearts in Atlantis is highly praised by the critics, some even called it King’s masterpiece. But I had a difficult time reading this 672 page tome. Don’t get me wrong, King is a master storyteller, and his characters come alive very quickly. You can’t ever blame King for presenting cardboard characters. As a matter of fact, in this book the characters are very Kingsean. It’s the structure of the book that just didn’t work for me. Part 1 is titled 1960: Low Men in Yellow Coats and it’s the best part of the book. If Low Men in Yellow Coats had not been the first part, I would have stopped reading pretty quickly. It’s King through and through. The protagonist is Bobby Garfield, an 11 year old boy in a small town in Connecticut. He has two friends his age, Sully and Carol, and the three of them experience the mysteries of the adult world through their points of view, in true King spirit full of “monsters” and supernatural events. What if there were no grownups? Suppose the whole idea of grownups was an illusion? What if their money was really just playground marbles, their business deals no more than baseball-card trades, their wars only games of guns in the park? What if they were all still snotty-nosed kids inside their suits and dresses? Christ, that couldn’t be, could it? It was too horrible to think about. I must admit, I have often thought about this. Inside I am still a snotty-nosed kid of age 11, going to Latin classes with Professor Illauer in Regensburg, trying to figure out what the world is about. My suit is fake, my money is only play money. The world is not real, and Stephen King has it figured out. The story captivated me and kept me reading, until I got to Part 2, Hearts in Atlantis. Part 2 shifts to a bunch of college kids who squander away their time in school playing, yes, Hearts. That’s all they do. King spends a tremendous amount of time describing the players and their lives, loves and passions, pretty much without any connection to Part 1, except Carol, Bobby’s girl friend from 1960, is there in college in 1966 and befriends one of the Hearts players. Then comes Part 3, Blind Willie, where we follow a fake blind panhandler in New York City through a day of his life. The only connection to Part 1 is that Willie is one of the bullies that harmed Bobby and Carol in Part 1, and it shows what happened to him later in life. Part 4 is about Vietnam and finally Part 5 is the wrap-up, if you can call it that. The parts didn’t fit together for me, neither content-wise, nor in structure. For instance, Part 1 is narrated in the third person, past tense, where the story-teller describes Bobby and his friends, but focuses on the world from Bobby’s point of view. Third person, past tense, is the most basic and widely used approach in novels. In Part 2, however, Pete, one of the Hearts players, tells the story in the first person. In Part 3, King then switches to third person, present tense, only to switch back to third person, past tense in Part 4. In Part 5, Bobby comes back as a late middle-aged man and visits his home town, third person, past tense. 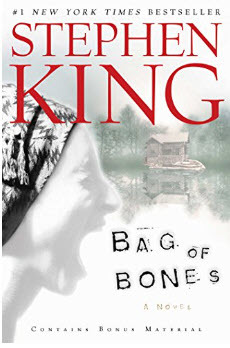 If King weren’t such a good writer, this book would be a disastrous jumble of disconnected stories with no common thread. Even after reading the whole book, I can’t quite tell you what it was actually about. I think it’s about Vietnam, the senseless war, and all senseless wars after that, but why did King bother with the elaborate setup and description of the Low Men in Yellow Coats and the enigmatic Ted Brautigan, who lived in the third floor apartment above Bobby and his mom? He could have left out the entire Part 1, and not lost a thing in the story. But then again, if it hadn’t been for Part 1, I would never have been able to work my way through the other parts. I kept wondering when Ted would come back. 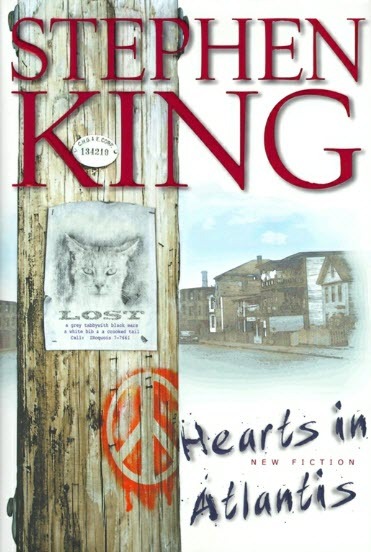 Hearts in Atlantis is a challenging read, not one of Stephen King’s better ones, but still a truly great example of vivid story telling by a master. This would be half a star, but King is so good, I give him an extra one. In the not too distant future, when there are still countries like China, Russia, Finland and the United States on Earth, humans have figured out how to build faster than light ships. The ships use the “bubble drive” which basically creates a bubble of hyperspace around the ship that moves forward taking with it all inside. Using the bubble drive, a ship can travel 30 light years in perhaps eight or nine months. With this technology, humans have started sending expeditions to other stars. There are outposts on planets with names like Xanadu, Mu and Atlantis. In those places, people discovered artifacts of an ancient and very highly developed intelligent race, called the Nelf. The artifacts are estimated to be three to five million years old, are completely indestructible and resistant to human exploration by any means, including high energy weapons. By sheer coincidence, one mummy corpse of a Nelf is found, so humanity can form a picture. Nelf are about the size of a small elephant, with twelve legs. Eight legs are used for walking, spider-like, and four “in the front” are used like arms, each with four fingers. By accident, humans found Nelf rings, which fit over a human arm above the elbow, and once there, cannot be removed. They eventually figure out that the rings are brain interfaces which open up immense powers through access to Nelf technology. Nelf Rings is a long book, 750 pages, way too long. Typical for many science fiction novels, it jumps around to different locales and viewpoints, and it does that so much that I found it very hard to keep track of who is who, and what is happening where. There are many different smaller subplots with different characters that seem to have no connection with each other. Each subplot if fully of petty human intrigue that simply gets boring after a while. The author repeats exposition, sometimes a number of times. For example, Nelf “doors” are activated by touching three points on a surface at the same time. Remember they have four arms. Humans can only do this by using two arms and one knee at the same time. Then a solid surface becomes “liquid” and actually pulls the user through to the other side. For an observer, this looks like the person is stepping into a solid wall. This process of discovery and going through such doors must be described in detail ten different times as the story shifts to different people. I understand that they are different people every time, but I am the reader, I already know how the doors work, so let’s get on with the story. My estimate is that this book is twice as long as it would need to be to convey the same story. There are even entire subplots that get much attention, but in the end do not contribute to the story at all, other than be entertaining. One such story follows a ship on a mystery planet when somehow the women in the crews get distracted by an aroma they follow, which is so compelling that they actually lick the walls where a certain fungus or lichen grows. This makes them pass out, and when they come to, they are extremely horny. The author describes this as a form of testosterone saturation similar to what happens to adolescent human males, only worse. The subplot gets a surprising amount of coverage in the book, and eventually it fizzles out and we never hear from the all these horny women again. If a reader can figure out why this entire section was even there, I stand to be corrected. It went way over my head. Another fixation this author seems to have is with female physical beauty. There are surgically enhanced females in this story, who are so perfect, that somehow every male that even comes near them goes stupid, loses his train of thought, or speech, and can’t keep his eyes of them. The author keeps describing them as stunning even in military fatigues or baggy clothes. This is recurring dozens of times in the story. It feels almost like the author is a teenage boy who just discovered girls. There are numerous subplots that vaguely contribute to the “universe” the writer wanted to create, but overall they were not strong enough to convince me. Many faded out. I found other structural problems with the book. There is no clear protagonist, no one person to follow and get used to. People come, become important figures for a few pages, and eventually they disappear. I never could identify with anyone, which makes for a dry and text-book-like read. There was also no end I could discern. Nothing came together in the end, no conflict was resolved, no happily ever after characters rode off into the sunset. The major conflict, namely what would the powers that be on Earth do with the immense capabilities of Nelf technology, never really gets resolved. It feels like the writer, after pounding out 750 pages, got tired of the book and wrapped it up in a few paragraphs deus-ex-machine style. We never meet Nelf. They appear to be a highly advanced race that left technology all over the galaxy and disappeared without a trace millions of years ago. We don’t find out anything about them, except what some of their technology can do, we don’t find out where they went, and we never meet one – which would have been cool. 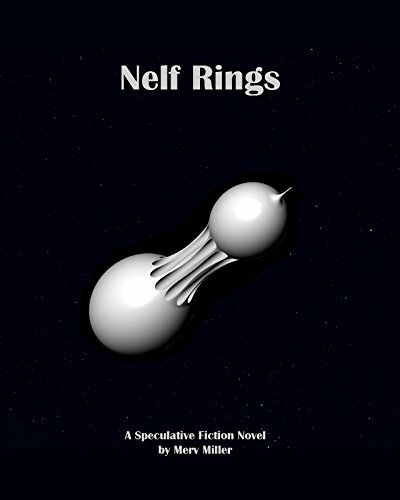 Overall, Nelf Rings is an interesting science fiction speculation that never goes anywhere and that I’ll likely soon forget I ever read. Quan (Jackie Chan) is a London restaurant owner and British citizen of Chinese descent. His only family left is his teenage daughter. She gets killed in a terrorist attack, presumably by the Northern Ireland resistance movement, when she simply finds herself at the wrong place at the wrong time. 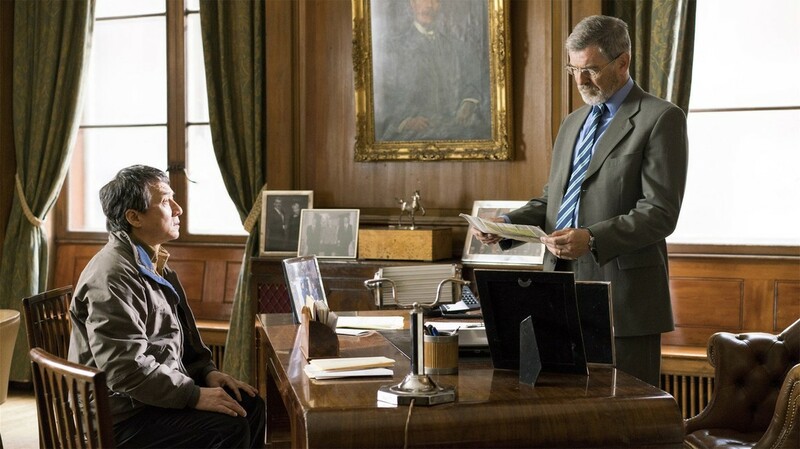 When Quan seeks revenge, he comes head to head with a British government official (Pierce Brosnan). Quan, with a history of special forces training and memories of cruelty against him and his family, launches a one-man-army-like attack against a corrupt and complex establishment. This movie brings to the forefront the complexities of British history as it relates to Northern Ireland and illustrates the senselessness and brutality of terrorism motivated by religion and government. The story is confusing and the plot difficult to follow, but that may be due to the complexity of the subject matter itself. The best part about the movie is the uncharacteristically subdued performance of Chan, who portrays a humble man who has set his mind to getting justice. Elisa (Sally Hawkins) is a lonely spinster, a mute, who works as a janitor at a “black” government installation in the Cold War era circa 1962. She discovers a “fishman” creature in a secret laboratory that is being abused by its keepers, headed by a sadistic government agent. She falls in love with the creature. 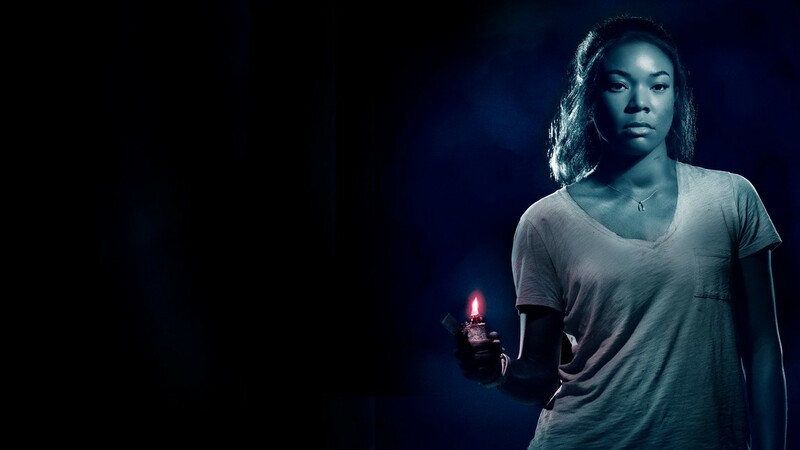 When she finds out that they intend to kill it, she decides to launch a rescue effort. Sally Hawkins plays an “odd” woman in the Elisa role, somewhat reminiscent of Maudie from last year, where she played a crippled artist. The Shape of Water got very high reviews by the community. To me, it was a letdown. First, I don’t understand the title. 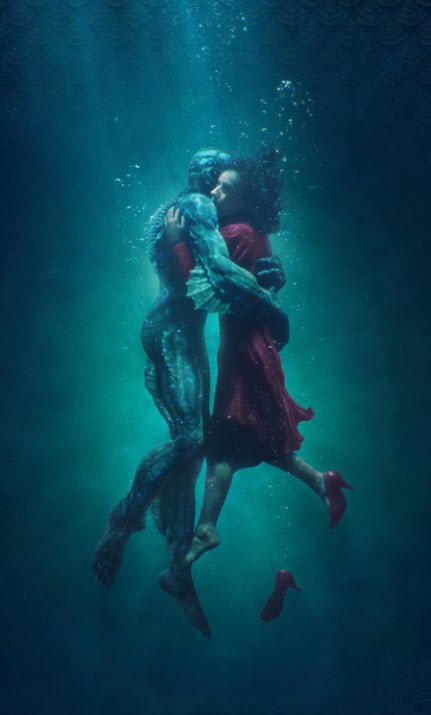 I am not sure what the shape of water is supposed to mean, other than there is an amphibian man in the leading role. The amphibian man is a human in a fish costume, who makes odd sounds, and supposedly can breathe air with lungs and water with gills. The movie makes no effort to explain if the creature is supposed to be an alien or an evolved human swamp creature. Through the course of the movie Elisa ends up in a sexual relationship with the amphibian man, so I assume he’s supposed to be human. But then, why are the government agents so stupid and act like they are not expecting the creature to be intelligent, or have feelings, like a human does. He sure looks like a human in a fish suit! The whole plot, and many of its components, just didn’t make sense to me, to a degree where I found it distracting. But then, perhaps the whole story was meant to be a fairytale and I was not supposed to reason about it? Maybe I was supposed to just enjoy it? I am not sure if The Shape of Water is a fairy tale, a science fiction thriller, or a mystery romance story. It has components of all of those. In the end, I walked out of the movie somewhat unsatisfied. 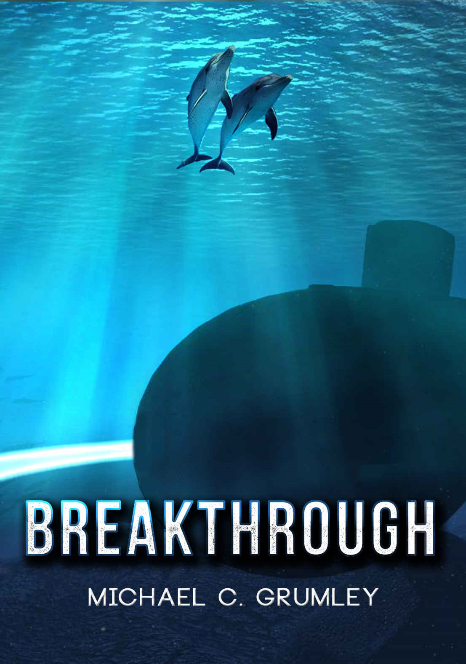 When a nuclear submarine in the Caribbean encounters anomalies with its GPS system, John Clay, a naval investigator is called in to figure out what happened. At the same time, Alison Shaw, a marine biologist and her small team of dedicated scientists achieve a breakthrough in their attempt to communicate with dolphins. Eventually the U.S. Navy discovers an artifact on the bottom of the ocean that seems to destabilize the geological balance of the entire planet. That’s when the U.S. government gets involved, and things go sideways very quickly. Breakthrough is Grumley’s debut novel and the first of a “series” of novels. It’s a science fiction techno-thriller, where the science fiction is very light and superficial, and the thriller part is pretty standard and fairly bland U.S. government intrigue stuff. There are two areas that interested me specifically, and I want to discuss them. Spoiler Warning: the following contains minor spoilers which will not impact your enjoyment of the novel, but it is my policy to warn about spoilers. The first area has to do with dolphin intelligence and language. This subject has always been one of deep interest to me, and I have literally read dozens of books on the subject. Search for the keyword “dolphin” on this blog and find some of my thoughts on it. Also, select “cetaceans” in the Select a Category dropdown to the right, and you’ll find a lot of related posts. In this story, a team of researchers has used an IBM artificial intelligence engine to decode a dolphin vocabulary, and after the initial Hello, Yes and No words are discovered, it starts building very quickly. Humans type into the computer, or speak to a voice recognition system, and the system translates the word to a set of dolphin clicks and whistles. When dolphins whistle, the computer detects the words, looks them up in the vocabulary, and speaks them. Voilà, you have a conversation with a dolphin. This concept is quite well developed in this story, except for the strange beginning, where the supposed breakthrough occurs, and I could not figure out what exactly it was. Supposedly the team had recorded dolphin sounds for years, and they were finally starting to interpret them. There was this huge press conference announcing that they were starting that. I just could not figure out what the breakthrough was, other than they had decided that they would stop collecting sounds and start interpreting them. I was personally always interested in this field, and I have often had regrets that I didn’t start in this field of research early in my career as a computer programmer. My life might have been very different indeed. Of course, maybe not as successful, since in all those years, unlike in this book, we have NOT yet cracked the code and been successful communicating with the aliens right here on our planet, with our own DNA. Definition: In evolutionary biology, convergent evolution is the process whereby organisms not closely related (not monophyletic), independently evolve similar traits as a result of having to adapt to similar environments or ecological niches. In this story – and here is the spoiler – there are aliens living on the bottom of the Caribbean Sea in air bubbles. How they got there and what they are doing there is not relevant for my point so I won’t elaborate here. However, the aliens, although they come from another planet around another star, are human, indistinguishable from us. The author explains that convergent evolution will produce identical results even in wildly different environments, as long as the building blocks of nature are the same. We are all “stardust” and made from the same raw materials that heavy elements resulting from supernovae. So the same amino acids seeded many different worlds around many different stars, and the crowning result would be — humans. That’s where the story lost me. No only were the aliens that evolved on another planet in a different stellar system light years away human, they spoke American English! This was just so out of the realm of feasibility, the book came apart for me at that time. Here is a novel, that is partly built on the concept of the challenges of decoding a language of an alien being (in this case a dolphin) and how it took decades of work to make any measurable progress, and then that same novel brings in alien humans that conveniently speak English and are undetected in our social environment. Regardless of those flaws, I enjoyed the book, I found the concept of language translation intriguing and entertaining, and I read all the way to the end. Jack Kildare is a British-American space shuttle astronaut who flies the very last mission of the space shuttle in 2011. Skyler Taft is a young astronomer who works observation shifts at the Mauna Kea observatories in Hawaii. One night, by pure luck, he observes a phenomenon near Europa, one of the moons of Jupiter, that can only be interpreted as activities of an alien ship in orbit around that moon. And thus, Jack and Skyler’s fate start getting intertwined. Soon, all of earth is abuzz about the mother of all discoveries, or MOAD, as it’s colloquially called. The nations of earth work together to build an interplanetary spaceship to take a crew of eight astronauts to Europa to check out the aliens. As in any large “government” project costing hundreds of billions of dollars and requiring international cooperation, there is much intrigue, international politics, posturing and, yes, even murder, to make it all work. The book is subtitled a first contact technothriller and that’s what attracted me to it. I usually like “first contact” stories. What I didn’t expect was that the majority of the 400 pages was really about earth’s international politics, including the Russians, the Chinese and other nations, all banding together to build something that had never been built before. This book is not a technothriller. It’s a political thriller, and not a very convincing one at that, with a technology umbrella story. I expected some alien story, some humanity meets alien yarn, but I got mostly yawns slogging through intrigue on the streets of Beijing, and in the halls of NASA in Houston, and in Baikonur. At the end, all I saw was the spaceship leaving earth orbit. That’s when I realized I was reading Book 1 of a series, and I felt cheated. It was just not what I expected. The writing and plotting also was not good enough to lead me to believe that Book 2 and Book 3 would be any more satisfying, so I’ll pass and move on to another author. Camelot 30K is about humans encountering alien life for the first time. In 2009, humanity discovers a signal from a planetoid way beyond the orbit of Neptune, about 35 astronomical units out in the Kuiper belt. It then takes another two decades to develop and deploy a catapult system capable to send human explorers to the planetoid they have named Ice. During the time of preparation, humans develop a method of translation between the two languages. When the first six explorers arrive on Ice, they find a world very different from Earth. First, the ambient temperature is 30° Kelvin, or about minus 240° Celsius. Forward is a physicist, and he uses a set of low-temperature chemistry to establish the unique life forms that could live in that environment. The aliens are called keracks. They are very small, just a few centimeters long, have 10 legs and are shrimp-like in appearance. They have a thorax and an abdomen, a single large eye globe on their heads, antennas for radio communications, and a large war claw for fighting. Humans have a body temperature of 37°C. To keracks, who have a body temperature of about minus 200°C, humans are first huge (since the keracks are the size of shrimp) and second glowing hot, so hot, that there is no way of the two species actually having any physical contact without destruction to both organisms. To mitigate that, robotics experts have developed micro robots in the shape of keracks, which are controlled by humans from immersion pods. Think about the pods used by the humans in the movie Avatar. They brought two of those robots along, so working in shifts, the six human explorers keep controlling the robots from their base about 30 kilometers away from the kerack city they are exploring. As the humans get to know the keracks better and better, they keep finding out more about their mysterious body chemistry, and their culture, until they finally realize the danger they are in. This hard science fiction book by Robert Forward came out in 1993, before the Internet, just after the collapse of the Soviet Union. But it projects a few decades into the future from its point of view, which, of course, for me reading it in 2016, is already in the past. 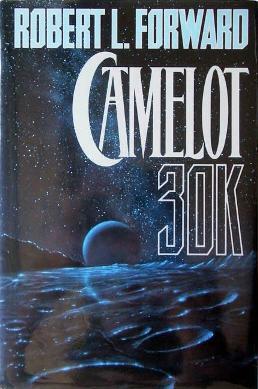 2009, when Camelot 30K starts, is some 15 years in Robert Forward’s future. Then most of the action plays around 2030 when humanity finally reaches Ice. There are a few cute “predict the future technology twists” in this book. For instance, the humans bring along a “Lookman,” which is a tablet-like computer with a video screen that they can interact with by touching the screen. On the Lookman they have manuals, books, references, encyclopedia and the like. Basically Forward is describing the iPad which of course did not exist even in concept in 1993, but there was the Sony Walkman that we all know which came out in the late 1970s, a gadget Forward would have known and has obviously used to derive his concept for the Lookman. The fascinating hard science fiction speculations by Robert Forward notwithstanding, I found Camelot 30K a very boring book. Nothing much happens beyond hard science speculation. If you are a physicist or chemist with an interest in science fiction, great. But for me, an average reader, there was not enough going on in the story to keep me satisfied. I also found it hokey that the kerack culture was oddly reminiscent of England in the age of the knights. The agrarian feudalism, the King Arthur-like battles, including jousting, not by horses and knights, but by kerack (shrimp) warriors on top of their heullers (large caterpillar-like creatures they domesticate and ride in battle and for transportation in general). The parallels between European culture 500 years ago and an alien culture based on chemistry at minus 200°C on a planetoid in the Kuiper belt seemed just too unlikely for me to just accept and move on. Keracks are humans in shrimp bodies with human problems and human troubles to solve. In contrast, I loved Robert Forward’s book Dragon’s Egg. I should read that again and review. But then, I think I no longer have the hardcopy after my latest purge of my books. Oh well. Heart of Darkness, published in 1899, is a novel by Joseph Conrad. It is listed as number 67 in Random House Board’s list of the 100 greatest novels in the English language, which I maintain here. Two friends recently recommended that I read this book. One of them is my literary professor friend in Germany (W.I.). The other is my blogger friend in Australia (V.P. 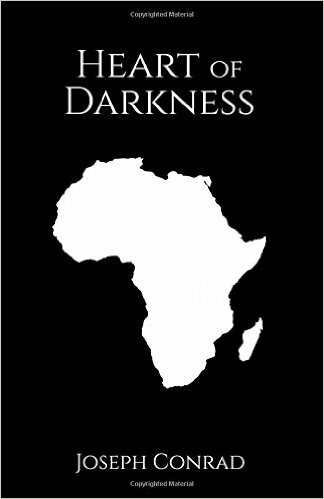 ), who was actually inspired to read Heart of Darkness partly by my listing it here on my blog. I might add here that her review of the book is much more inspiring and meaningful than mine – so please check it out. Charles Marlow is a sailor who tells his story about a steamship trip up the Congo river to transport ivory out of Africa. Marlow becomes obsessed with the central character of the story, Mr. Kurtz, an ivory trader, who reportedly had disappeared without a trace. People were wondering if he’d gone “native,” or been kidnapped, or had run away with company’s money, or even been killed by the natives. Eventually Marlow finds Kurtz, and discovers that he has become almost a demigod to the natives. Although he has a fiancé in England, he has taken a native woman as a wife. But he is ill. Marlow takes Kurtz, against his will, with him down the river to bring him back to civilization. But Kurtz does not survive the trip. When Marlow gets home to England, he has to tell the story to Kurtz’ fiancé. Reading this short book of only 111 pages was a difficult slog. Conrad’s writing is dense and requires reading and re-reading to understand. I kept finding myself drifting in and out of attention. Due to the stellar reputation of Conrad in general and this novel in particular in the world of literature, I had decided to keep going, for the “experience of it.” I would read a page or two with interest, and sometime re-read some sections, but invariably my attention would drift away and I would find myself reading empty words. In the end, I must admit, I didn’t “get” half the story, I am sure. Forthwith a change came over the waters, and the serenity became less brilliant but more profound. The old river in its broad reach rested unruffled at the decline of day, after ages of good service done to the race that peopled its banks, spread out in the tranquil dignity of a waterway leading to the uttermost ends of the earth. We looked at the venerable stream not in the vivid flush of a short day that comes and departs for ever, but in the august light of abiding memories. And indeed nothing is easier for a man who has, as the phrase goes, “followed the sea” with reverence and affection, than to evoke the great spirit of the past upon the lower reaches of the Thames. The tidal current runs to and fro in its unceasing service, crowded with memories of men and ships it had borne to the rest of home or to the battles of the sea. It had known and served all the men of whom the nation is proud, from Sir Francis Drake to Sir John Franklin, knights all, titled and untitled— the great knights-errant of the sea. It had borne all the ships whose names are like jewels flashing in the night of time, from the Golden Hind returning with her round flanks full of treasure, to be visited by the Queen’s Highness and thus pass out of the gigantic tale, to the Erebus and Terror, bound on other conquests— and that never returned. It had known the ships and the men. They had sailed from Deptford, from Greenwich, from Erith— the adventurers and the settlers; kings’ ships and the ships of men on ‘Change; captains, admirals, the dark “interlopers” of the Eastern trade, and the commissioned “generals” of East India fleets. Hunters for gold or pursuers of fame, they all had gone out on that stream, bearing the sword, and often the torch, messengers of the might within the land, bearers of a spark from the sacred fire. What greatness had not floated on the ebb of that river into the mystery of an unknown earth! . . . The dreams of men, the seed of commonwealths, the germs of empires. What is it with me and literature and classic books? I almost always have a hard time reading them, and if I read them, I do not enjoy them. I find that reading should be a pleasure, not work. When it turns into work, my short modern American attention span breaks up and I get lost. Therefore I cannot rate this highly. I cannot recommend that you, the reader, pick up Heart of Darkness, unless you know for sure what you are getting into. Now, I have read about 10% into Lord Jim by Conrad, and I really should continue, but the dense writing has my mind drifting, and I am not sure I can continue much longer, particularly with a list of more interesting reading queued up in my library.